Peter Helck often gave his friends and associates little sketches, often of a light-hearted nature. 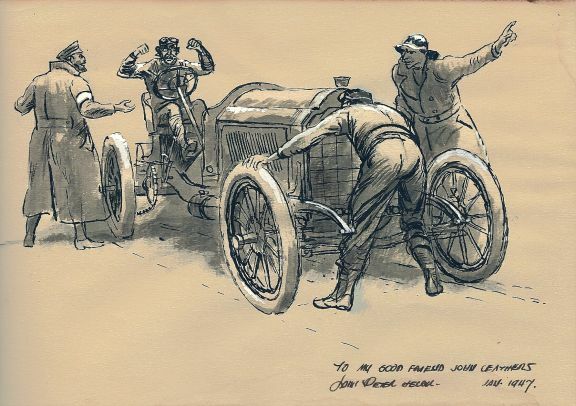 This one went to John Leathers, a close friend and a founding member of the Veteran Motor Car Club of America. The car looks like a Lorraine Dietrich CR2 circa 1905. Many thanks to John's grandson, Steve Gleason, for sharing this picture with us.